I am always eager to find new music and new singers, from the past, present and future times. 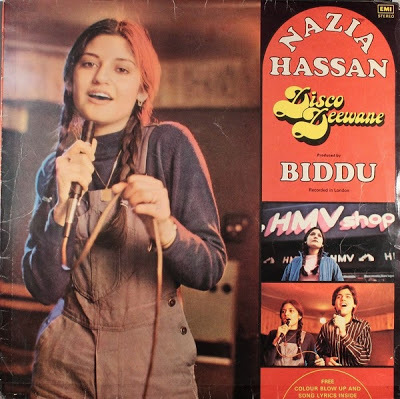 Today I get my first acquaintance with Nazia Hassan, and I liked it. This mixture of disco and Hindu vibes is really irresistible to me! Nazia was born on April 3, 1965, in Pakistan, she spent her teenage years in London; released her first album, “Disco Deewane”, in 1980, an album that became an instant hit with the title song reaching the top of the Pakistani charts. On August 13th, 2000 Nazia Hassan died of lung cancer in a London hospital at age 35.